Huawei previously used its Primark brand, Honor, to bring high-priced tech to a much more affordable package. But this time it's using Honor to introduce a feature the industry insisted it wasn't ready for: an under-glass fingerprint sensor. 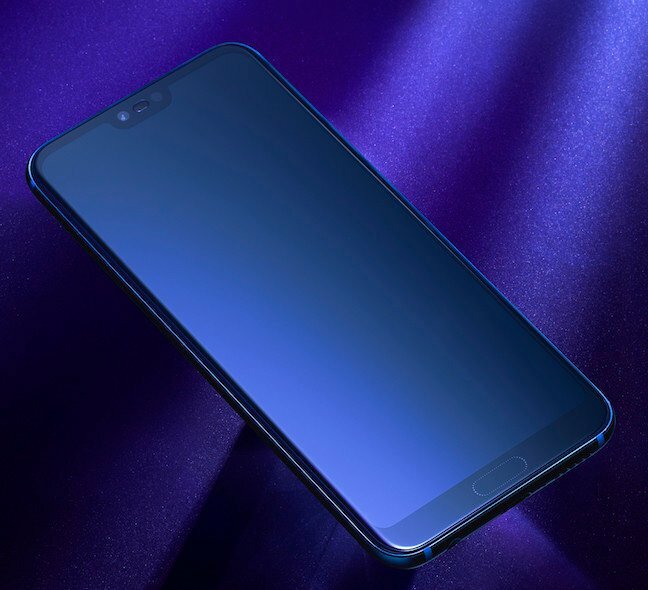 The new Honor 10 – which like the P20s has an optional, removable Notch – also includes an "ultrasonic under-glass fingerprint sensor", the first in a mass-market phone. Huawei doesn't say if it developed the Ultrasonic sensor itself, or used a Synaptics part. Perhaps the question we should be asking is why aren't we seeing it in more phones? Over 30 Androids will appear with a Notch homage this year – and probably the final count will be many more. 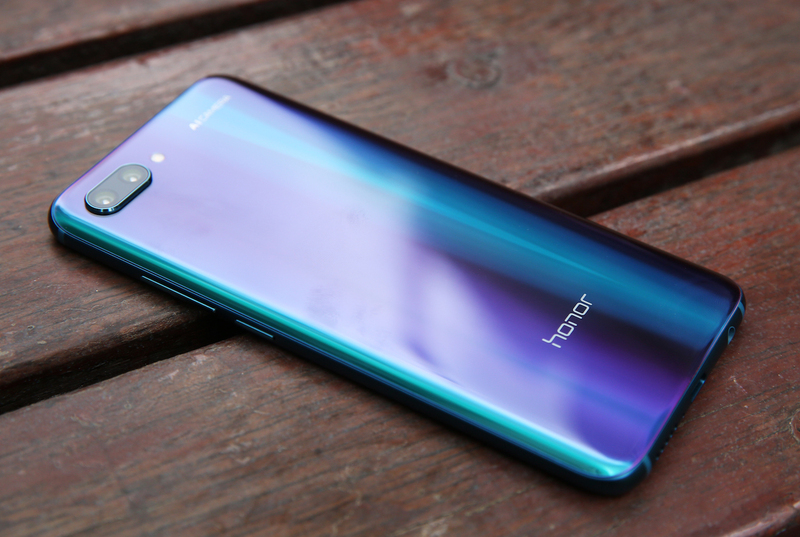 The Honor 10 is a hyper-aggressive offering, following on barely six months after its predecessor. The phone bundles up a 5.84-inch 2,280x1,080 resolution display (19:9), with the chip that was brand spanking new only six months ago, the 12-core Kirin 970, a 3,400mAh battery, 4GB RAM and 64GB or 128GB of storage, and a 24MP+16MP dual main camera. It has a gradient glass back, and is comparatively light: just 153g. Like the recent high-end P20s, Huawei packs in a 24MP front selfie. Huawei thus performs the trick of packing in 2018 flagship specs for less than the cost of last year's now-discounted flagships – which is a useful benchmark for canny buyers. All very impressive. In fact, all you will miss is the Huawei and Leica branding. Instead of a Leica-branded imaging unit, there's the generic and fairly blunt label "AI Camera". Huawei tells us the "AI" can recognise "500+ scenarios in 22 categories". The Honor 10 looks similar to the Honor 9, and apart from the fingerprint sensor being moved to the rear, you'd have a job telling them apart. We found Huawei's aggressive use of what it insists on calling "AI" in the P20 and P20 Pro has more to do with willy-waving than high-fidelity imaging. The P20 and P20 Pro cameras performed far better when the "Master AI" setting was turned off because leaving it on led to oversaturated shots. Those flagships are sold to photographers but in reality only vanity Instagrammers will be really happy with the results – so eventually something's got to give. Let's hope it's the AI. Honor wouldn't be Honor if it didn't include a burned offering at the shrine of the Millennial. "Who are Honor people?" asked Huawei exec Steve Jiang in 2015. "They try [to] wear a flower in their own hair. They are young people." Happily George Zhao carries on this tradition in the canned release for the device. "We want to co-create a new lifestyle with young people worldwide. We listen to them, we bounce ideas around with them, and we cheer for them. They are our inspiration, and the reason we created the Honor 10."